Spring cookies have been on my brain. It has been SOO cold, and usually once Christmas is over i'm ready for some warmer weather. We've got a ways to go though. 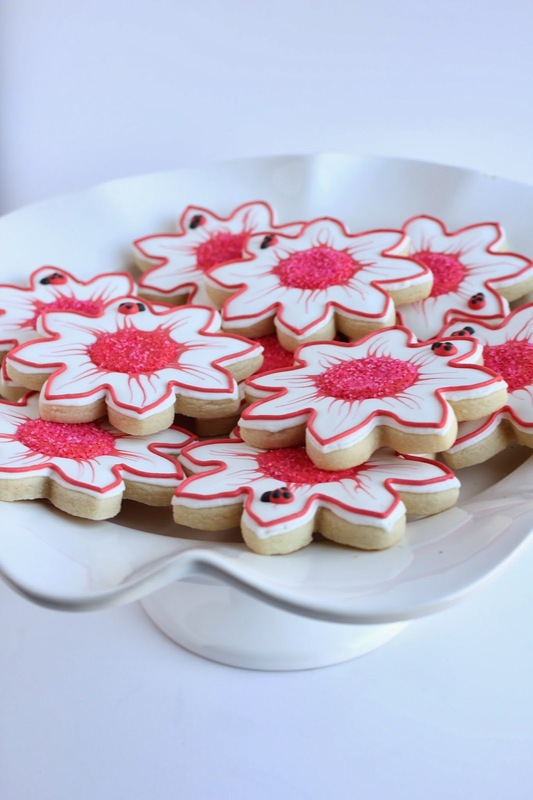 Here are some spring-y cookies. With cute little lady bugs. For a very cute little lady who turned two. Thank you for the order, Chloe!